Good theory! Korkie would be 60-65 years old, right? He could still be alive. We were expecting Mandalore with the TV serie, but it was Resistance which delivered. What a day! Yes, this is super exciting. I agree with your estimate of Korkie’s age. 65 would fit with SW canonical timeline that we know so far. Okay, so here’s the remainder of the theories I promised last Friday after the Resistance trailer dropped. I was just waiting for a bit more information before posting. Thank you Star Wars Show. So, I’m wondering if Suzie McGrath’s character, Tam Ryvora, is going to be the resident Mandalorian of the new series. If so, I have two theories as to why a Mandalorian Protector would be living on a Outer Rim refueling platform. First, she’s on a reconnaissance mission. Like Kaz, she too has been stationed as a spy to gain intel on the First Order and assess any threats they might pose to Mandalore. Second, she is in exile (self imposed or otherwise), like Sabine Wren in Rebels before her, she has something shameful to hide. Maybe she failed her duties as a Protector. What if Rey’s abduction was a result of her failure? Personally, I’m leaning towards the former since we don’t know the character’s age. For all we know she’s not much older than Rey. With all that said, I’m wondering if Naomi Ackie is going to be playing the live action Tam Ryvora in episode 9. What if the beginning of episode 9 opens with the Falcon undergoing repairs on the Colossus (the Outer Rim refueling station)? If Rey has a chance meeting with Tam and is recognized as the lost daughter of the Mandalor, then this scenario would bring the Mandos into the storyline very quickly. I'm so glad to see people posting on this thread again! Firstly, I don't know that we necessarily need to look for clues in TLJ or anywhere else. I don't think that Rian Johnson looked at clues in TFA and then decided where to take things. I think he had an idea - that Rey's lineage doesn't actually matter - and he made sure nothing in TFA explicitly contradicted that. Similarly, if JJ originally had the idea that Rey is a Kenobi and wanted to make it happen in Episode IX, I think he would find a way to do it, and he would make sure it didn't explicitly contradict TLJ, or anything else canon. Could this be done convincingly? I think it could, but it has to mean something to the story. We don't see definitive proof in TLJ that Rey's parents were junkers. We see that Kylo Ren says it's so and Rey at least partially believes it's so. I do think Kylo believes it as well. But it also serves his purpose - to make Rey let go of the past to embrace a future with him, with her taking HIS hand. It also serves Rian Johnson's purpose - to make the audience stop obsessing about her lineage. But Rey rejects his hand, and in doing so, it could also be said that she rejects his idea of who her parents are. I think that JJ likes crowd pleasing moments. The Falcon reveal, the Han/Chewie reveal, the lightsaber flying into Rey's hand... We're going to see more of these. We already have indications that Lando's going to show up. So... if J.J. is a Rey Kenobi guy, how could he make it happen? Showdown over Mandalore > Rey on Mandalore & Kylo on Mandalore > They run into Ahsoka Tano (crowd pleaser #1) who figures out who Rey is and brings her to Korkie (crowd pleaser #2), where her lineage is revealed as he explains why she was kidnapped - because she's a prime candidate to unite Mandalore. This thrusts her into a central role in stopping the conflict by uniting the Mandalorians. And learning Ahsoka's story gets Kylo on board with stopping the Wars. To me, if we want to bring Rey & Kylo together, they have to unite somehow. I don't think either one is going to switch sides. They have to come together, to say 'NO, we are not going to be force-sensitive weapons of war' That make sense because this is the final episode of the 9 film series. It has to be an end to 'Star Wars'. I think war-torn Mandalore is a great setting for that. I think Ahsoka can be brought in as an example of a force sensitive warrior that said no to being a weapon of war. And that's what Luke was preaching too. When Rey and Kylo have successfully ended the war, that's a good time for force ghost Obi-wan to show up to Rey. (Crowd pleaser!) Force ghost Anakin too (crowd pleaser). It's the resolution of the central conflict of the PT (Anakin vs. Obiwan). Their grandchildren come together and stop the galaxy from falling into the same pattern all over again. And though I think the DJ=Ezra thing was debunked by Pablo or somebody, I also think it fits into the story because he too is an advocate of not becoming a weapon of either side. Yay! So glad you’re back! 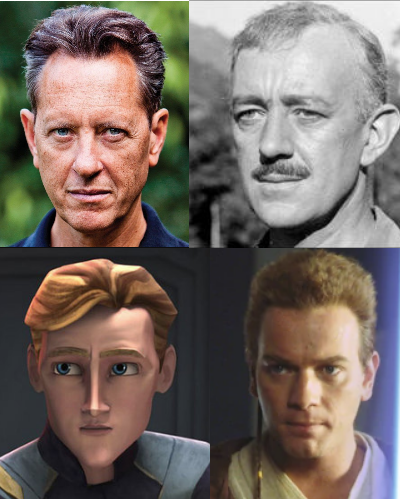 I'm just going to throw this out there - Richard E. Grant sure looks like he could be a Kenobi. It’s possible. I’m hoping Richard E. Grant will play a villain though. Like King Prana or a FO officer. Apparently it was announced today that Matt Smith also has a role in episode IX. 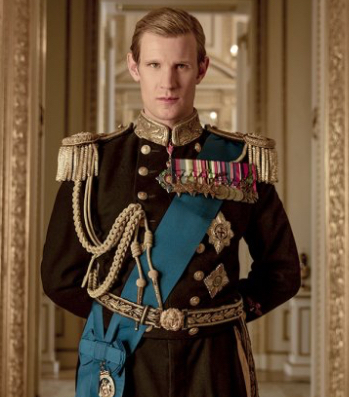 He has experience playing a royal in “The Crown”. He could pull off a middle aged Korkie too. Wouldn't it be cool if, in Episode IX, Rey finds out her real father was Korkie Kryze (or maybe she meets Korkie himself), and they just leave it at that. No Kenobi reveal necessary in the movie. And no confirmation that Korkie is actually Obi-wan's son. The narrative purpose is to show that her worst fears (and Kylo's hopes) aren't true - her parents were good, honorable people, and she was kidnapped from them and in IX she is reunited. For the casual fan, they'd be none the wiser. 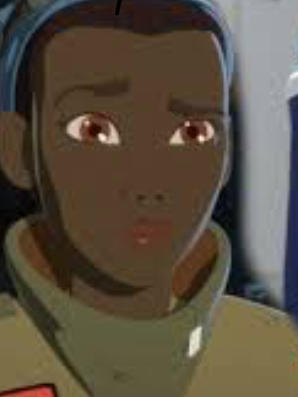 For the Clone Wars aficionado, they can believe she's a mandalorian bad*** or a Kenobi, whatever floats one's boat. I think that would be clever. I would love that, I'm waiting for hints about Korkie since I discovered TCW. But I think it is too late, Rey's answer for family is not behind, it is ahead. The final chapter is a conclusion and it has to feel like it by taking care of the wild threads and just Korkie's name doesn't feel like a closure to me. And more explanations take too much time when the film has more urgent things to settle. I believe Rey's parents are a closed door. Maybe don't kill the past but let it rest in peace could be the true message of the postology. She represents what the jedi were before the Fall, a nobody chosen by the Force to be Force sensitive. Of course Rian had been vague enough to let JJ use a 'From a certain point of view' twist but what could serve the narrative? She could be a mandalorian but general audience doesn't know them, they have never been in a movie and only a few people know Boba has a mandalorian armour (he isn't a Mandalorian in the new canon). She could have been kidnapped, but I think this notion should have been hinted in either TFA or TLJ. I don't think having good or honorable parents would change her mind, but I'm not objective. I like the theme of sometimes good people have bad or not great parents. In ROTJ, we learnt that what Vader said to Luke was totally true, with a twist (Leia is Luke's sister). Here the twist could be that Rey killed her parents in anger after they sold her (bringing her closer to Kylo), or they didn't have a choice, they really loved her but it was not enough to not sold her. I'm sure of only one thing, Daisy Ridley is fed up with all those parents theories and as long as Rey is not related to Ben, then I'm happy. Passing thought, but not knowing too much about the dark saber, the designs to me feels like echoes of The World Between Worlds. journey continues in Rebels...but not much to go on in the Star Wars Databanks. Think I really need to get into Clone Wars to wrap my head around as The Darksaber is connected to Nightsisters on Dathomir with a Mother Talzin in charge. Mother Talzin is Darth Maul's mother as well and apparently the Nightsisters like to exist outside of the whole Sith/Jedi matter, but Palpatine held Maul captive, making him an Apprentice, and so forth. Might need to read the comics as well. @Starliteprism wrote: Passing thought, but not knowing too much about the dark saber, the designs to me feels like echoes of The World Between Worlds. Interesting theory! Well, we know the dark saber was created by Tarre Vizsla. He was the ruler of Mandalore during the Old Republic. He was also a Jedi. This of course was before the Jedi had all of their dogmatic rules and restrictions. As to how he created it? I’m not sure. For all we know the dark Kyber crystal could have its origin tie into the Mortis gods/A World Between Worlds mythology. It would be pretty cool. The Jedi were aware of the Mortis gods before Obi-Wan, Anakin and Ahsoka’s encounter in the Clone Wars. As evidenced by the Jedi temple on Lothal. I’m wondering if Tarre Vizsla had a similar encounter 1000 years prior? Hmm...so, maybe the darksaber was forged in or is heavily connected to Mortis? In a spiritual sense, I have read a little on the concept that we can't see "heaven" because it exists on a higher plane that our senses cannot comprehend the faster vibrations, but what if the higher pitch noise of the darksaber hints at how other worldly the weapon is? The darksaber has always given me “The Sword of Rhiannon” vibes. The novel’s title character, Rhiannon, is an ancient entombed deity, who like Prometheus, was punished for sharing his abilities with mortal beings. Could Snoke’s origins have been inspired by the character Rhiannon? I’ve already speculated in another thread that Snoke’s story might have been based off of the “Mother” (aka: Abeloth) from SW legends. In the novel Rhiannon’s essence was attached to the sword. Also, the planet on which the story takes place, called Jekkara, has similarities to Jakku as well. I wouldn’t be surprised if the Lucasfilm story group drew a lot of inspiration from the novel. Especially since Leigh Brackett worked on the screenplay for ESB and has heavy ties to Star Wars. She’s considered the queen of space operas. Hmmm? Maybe in order to completely destroy Snoke, the darksaber must be destroyed as well. Kind of like the ring from LOTR and the horcruxes from Harry Potter. @TheBastardofMandalore wrote: The darksaber has always given me “The Sword of Rhiannon” vibes. The novel’s title character, Rhiannon, is an ancient entombed deity, who like Prometheus, was punished for sharing his abilities with mortal beings. Could Snoke’s origins have been inspired by the character Rhiannon? I’ve already speculated in another thread that Snoke’s story might have been based off of the “Mother” (aka: Abeloth) from SW legends. 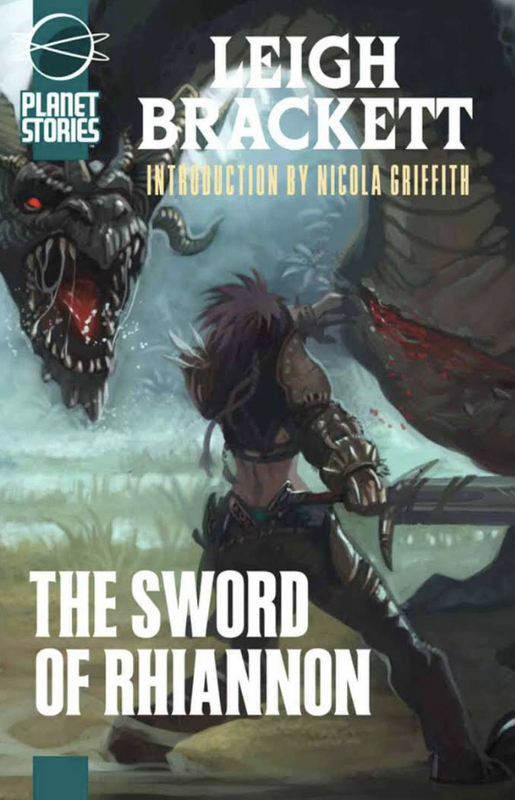 In the novel Rhiannon’s essence was attached to the sword. Also, the planet on which the story takes place, called Jekkara, has similarities to Jakku as well. I wouldn’t be surprised if the Lucasfilm story group drew a lot of inspiration from the novel. Especially since Leigh Brackett worked on the screenplay for ESB and has heavy ties to Star Wars. She’s considered the queen of space operas. So, maybe that ring of Snoke's was his contingency plan and he is attached to that. With the current Vader comics and Momin, could be a similar idea. The more I think about it, the more I think that J.J.'s original plan was to have Rey be a Kenobi. He intentionally created the mystery box of her origin by providing hints but not revealing, including a convoluted force vision including Obi-wan Kenobi's voice call her name. I doubt he would have done that if he intended for her to be something unrelated to the rest of the saga. And if she's not a Skywalker, the next obvious thing is Kenobi. He obviously had no problem recycling things from the rest of the saga. It's interesting that we heard lots of buzz about a Kenobi standalone movie, then that seemed to be shelved. Sure, some blame Solo's lack of performance, but as I recall, the Kenobi movie seemed to gain and then lose steam before that release. It would stand to reason that with Rian going in a different direction, and then Treverrow going in a still different direction, and then Treverow being sacked and J.J. coming back on, that the relation of Kenobi to the ST has been somewhat in flux. I don't know if it makes sense for J.J. to spend any precious screen time reversing out what Rian did and establishing a connection in this movie. It could be done, but it's a lot to do for a plot point that probably would be confusing to people. But when I see that gif above, the poetry of her being a Kenobi, and therefore her and Ben representing the reunion and ultimate triumph of the Kenobi / Skywalker alliance, I absolutely love it and I think it links the ST to the OT in a way that makes the whole saga come together. I'll go to my grave thinking that that was J.J.'s original intention. I look forward to hearing him talk about that honestly after IX is released. "Back then Grant revealed that he auditioned together with Daisy Ridley and that they used a 10-page script of an interrogation scene clearly set in the 1940s. This made a lot of us to speculate that he will be most likely playing a First Order officer who will probably interrogate Daisy Ridley’s character Rey at some point in the film." And at this point, the room went upside-down and I’m sure he was telling me in detail what part I was playing and what the character is called. "As you can see in the first interview, Grant revealed that “the room went upside down” while stopping shy of revealing what his character will be called. 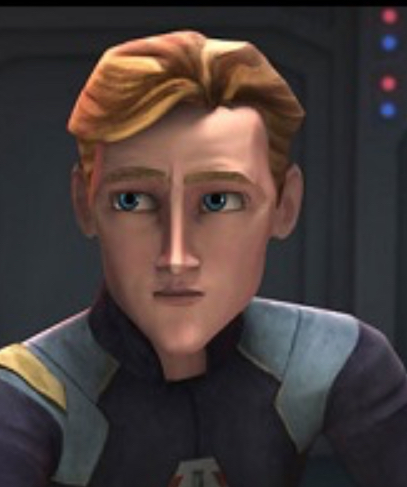 In the new interview, it seems the main reason for this excitement was actually the name of the character, which led us to believe that he will be playing a well-known character from the Star Wars universe. Of course, this doesn’t necessarily mean that we met his character before. 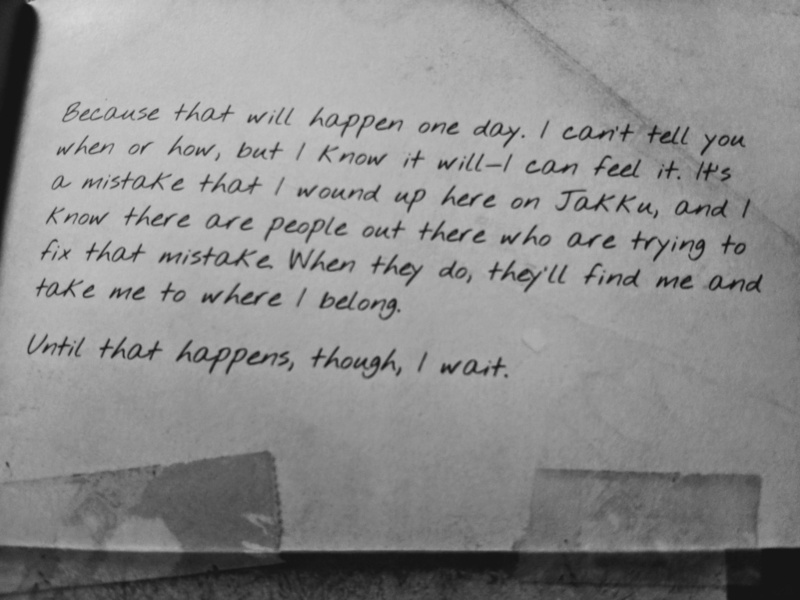 It could be just someone related to someone we know." I would assume that Resistance would make a big deal out of Rey, if word gets around, maybe "Korkie's" radar would perk up and in stead of coming out of the woodworks, call for her indirectly, meet in a room to interrogate, in order to see if it was really his long-lost/kidnapped daughter/lost princess from not so long ago. Good speculation! Talk about an emotional scene. Not only for Rey but for the audience as well. Thanks! I have been lurking and I so appreciate all the posts keeping the hope up during the dark times. The Mandalorian confirmed Leaks ! "The Mandalorian: They showed a sizzle reel of Jon Favreau talking about how he's excited because they have delved into some of the EU for this series. They also talkied about the different directors as well. The main thing I remember here is that the central plot revolves around the main character and a baby. I guess the Mandalorian encounters a baby on one of his missions that he is supposed to kill, but instead of that, he ends up saving it and a lot of the rest of the story revolves around their growing relationship and his efforts to keep the child safe and protected. They showed a ton of artwork and stills. They spent a decent amount of time talking about the Mandalorian's armor and how it goes through changes and upgrades. They mentioned the large woman character who is some sort of Chief of theirs? I don't remember her name or whether she was a villain or not. They also talked a lot about different planets and terrains but I don't remember too many specific details." I know that supposedly this baby should be the age of Kylo or Poe. But, I am not sure so still holding out that this baby might be Rey. A Snow White scenario for Rey was always one of my top theories on how she got abandoned on Jakku. Omid Abtahi who voiced Amis one of Korkie's friends at the Academy has been Cast in The Mandalorian. I don't know if he is playing Amis, but we will have wait and see. Excuse-me guys... Is there something "official" about Rey's Survival Guide? Is it considered as "canon", or should I rather consider it as the product of the imagination of Jason Fry? Rey's Survival Guide is canon but not as "canon" as the theatrical release of EP 7 & 8. So anything in the books that does not jive with the movie is not canon or there is a post hoc alternative explanation. @spacebaby45678 wrote: Rey's Survival Guide is canon but not as "canon" as the theatrical release of EP 7 & 8.